TabTouch launched back in 1998. 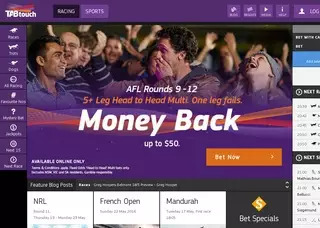 At the time, the Sydney-based bookie was one of the first to be given the approval to offer sports betting over the internet. Currently, the company is based in Darwin and declares about 25000 active users and a total annual turnover of about 20 million Australian Dollars. Now, the numbers are not high, and TabTouch is aware of that. The great thing about the Australian bookie is that even though they are considered small fry by other industry corporations, they still continue to offer excellent services and support. The website of the bookie doesn’t get in the top million most visited websites in the world. But TabTouch has been around for so many years now, and they are still existing and promoting their business. Their motto (as can be seen on their website) is “If it moves, we’ll bet on it.” The sportsbook reflects on the motto and offers a large number of betting options to players. Website design is immaculate. White dominates the page, with colorful accents on the famous spots. Lists roll two colors, one after the other, which makes them very easy to read and keep track of. Overall the interface of TabTouch is very intuitive and is a lot like the bookmaking industry standard. There are three columns with types of sports/racing, with upcoming and current events and with a bet slip and information. All of this should make using the website very easy for new and old punters alike. TabTouch offers a mobile version of the website that is developed for all kinds of devices. With it, you can bet on the go and never miss an event again. The betting options on TabTouch are plenty and everything you’ve seen at other bookmakers. Let’s start with the racing. In the section you can bet on thoroughbreds, harness and greyhounds racing. When you click on a track you can easily see the names of the horse, the jockey, and the trainer. This way, if you have favorites, you can easily find them at a glance. Betting is easy, and you can see all the bonuses you can get from a bet. Options vary from race to race, but usually you have all the traditional ones available for clicking. Another minus is that TabTouch does not offer to bet on live events. The live betting has become quite a rush for punters all around the world, and I’m hoping the bookie will add it as an option soon. The odds on TabTouch are quite competitive. The bookie offers a Super Bonus 15 for racing, too. The option means that you can win 15% more on the last race in Sydney, Melbourne and Brisbane. Super Bonus 15 alone makes some bets extremely lucrative, compared to other bookies in Australia. Other than that, the standard racing options are the most lucrative – win, quinella, and trifecta. Aside from the lack of betting options, TabTouch offers an excellent virtual protection. The SSL encrypted connection is verified by COMODO ECC, which is always a stamp for quality. Your data and general information will be safe when communicated over the Internet. The customer service of TabTouch is up to par with the bigger bookmakers out there. You can contact the department by e-mail, phone (toll-free), facsimile and old fashioned mail. All the details can be seen in the table. You can always expect answers to your questions in 24 hours. Usually, the phone line is best for resolving heavier issues. The Aussie bookmaker accepts five types of currency. TabTouch allows all modern ways to deposit or withdraw money. All the details can be seen in the table here on this page. Currently, TabTouch does not offer any join or deposit bonuses. 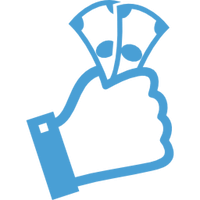 The bookie has been known for a 200% deposit bonus up to $100 in the past. However, there are a few ways you can get a free branded polo shirt. Aside from the shirt, there is a cash reward – Super Bonus 15. The limit is $100 and returns an extra 15% of the winning portion of the bet. However, this bonus is available only for certain races, mainly in the biggest Australian cities. You cannot use your bonus chances with this offer. Overall, the gifts are small but given with love to the punters. If you feel like betting today, check TabTouch out!